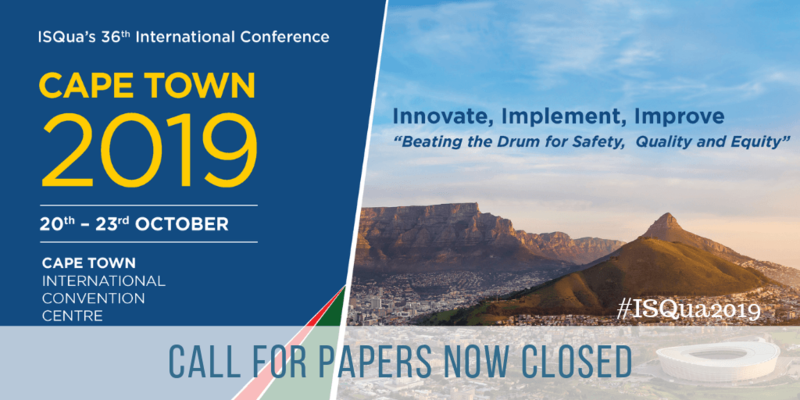 Registration for #ISQua2019 is now open! Discounts available for groups of ten or more. This offer is valid for full-rate member and non-member registration types. Please contact conference@isqua.org or isqua.reghot@mci-group.com for more information. *Members are entitled to one discounted registration per term (12 months). Become an ISQua Member for only €150 (HIC) or €112.50 (UMIC) - Register Now! *Members are entitled to one discounted registration per term (12 months). Become an ISQua Member for only €112.50 (UMIC) - Register Now! *ISQua Members are entitled to one discounted registration per term (12 months). Become an ISQua Member for only €75 (LIC) or €112.50 (LMIC) - Register Now! Below are the main conference hotels along with the current rates. Accommodation is available through the registration portal. There are hundreds of hotels to choose from and are available to suit all budgets. The accommodation can be searched by location, price and star rating. Payment for accommodation can be made through the registration process. During the registration process, you will have an opportunity to choose from 100's of hotels ranging from 2* - 5*. You can sort the hotels by price and distance to the conference venue. Conference attendees can take advantage of attractive discounts, of up to 15%, on a wide range of public fares on all AIR FRANCE / KLM, and their code-shared flights worldwide. The Programme and Planning Committee oversees the development of the scientific programme and is responsible for ensuring the quality of the content of the conference. The Abstract Committee is responsible for scheduling the conference programme, including presentations, selecting oral and poster papers, expert panels, invited workshops and any other method that will maximise delegate exchange and involvement. The Health Assessment Lab/Medical Outcomes Trust are seeking nominations for the 2019 John Ware and Alvin Tarlov Career Achievement Prize in Patient Reported Outcomes Measures (PROMs), which includes a $20,000 honorarium. The successful candidate will have made significant contributions to the field of PROMs throughout their career. The award will be announced and presented at ISQua's annual international conference. You can find the guidelines and application information here. Once a year ISQua brings together over 1,500 key decision makers from over 80 countries to share their expertise and knowledge in health care quality and safety improvement. Take advantage of this unrivalled gathering of key health care industry decision makers to enhance your company profile or launch a new product or service. There are plenty of unique exhibition and sponsorship opportunities available. We can tailor an exhibitor or sponsorship package to suit your budget, helping you gain that competitive edge while delivering a tangible return on investment. 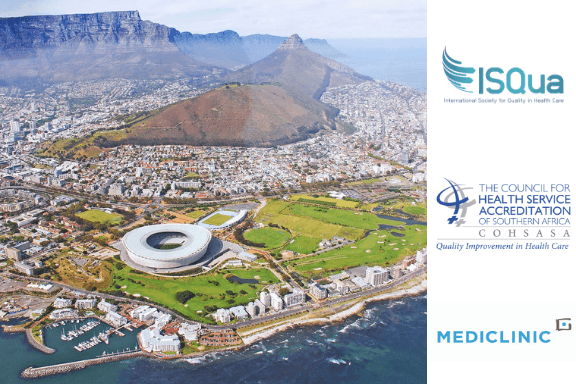 Contact Eadin Murphy at emurphy@isqua.org or Christopher Day at Christopher.Day@mci-group.com to find out more about all of the sponsorship opportunities available to you for Cape Town 2019. The deadline for submitting abstracts is now passed. If you are interested in submitting for a future ISQua conference please sign up to our mailing list here. The call for papers for Florence 2020 will open on October 23rd 2019.